German shepherds are attentive and eager to please their humans. Preparing homemade dog food is time-consuming, but the extra work can be worthwhile, especially if you have German shepherds. These intelligent, loving and fascinating dogs are genetically predisposed to numerous diseases. Families with healthy German shepherds and those whose shepherds have medical conditions are discovering various benefits of homemade diets. 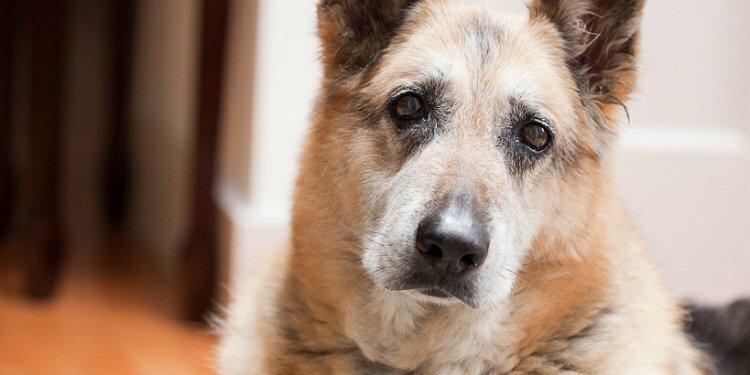 Feeding your German shepherd appropriate homemade meals throughout her life may increase her odds of staying healthy. Prevalent in German shepherds are autoimmune diseases, allergies and skin problems, and digestive disorders that can result in gastrointestinal ailments and food intolerances. Some veterinarians, including Dr. Karen Becker, an integrative wellness veterinarian who wrote Dr. Becker's Real Food for Healthy Dogs & Cats, believe that a balanced fresh food diet containing no preservatives, additives and artificial coloring contributes to managing diseases that afflict illness-prone breeds such as German shepherds. If you decide to prepare homemade dog food for your shepherd, it is essential to properly balance the ingredients. Even when feeding fresh, high-quality individual foods, unbalanced meals can damage your dog's health. In addition to fresh food, which contains most of the nutrients your dog needs, homemade meals might require certain vitamins and supplements. Ask your veterinarian or a veterinary nutritionist to help you create a specific diet that you will follow and your German shepherd will thrive on.